Welcome to the Holy Cross School Council page. Meet the School Council for 2014 Term 1 and 2! 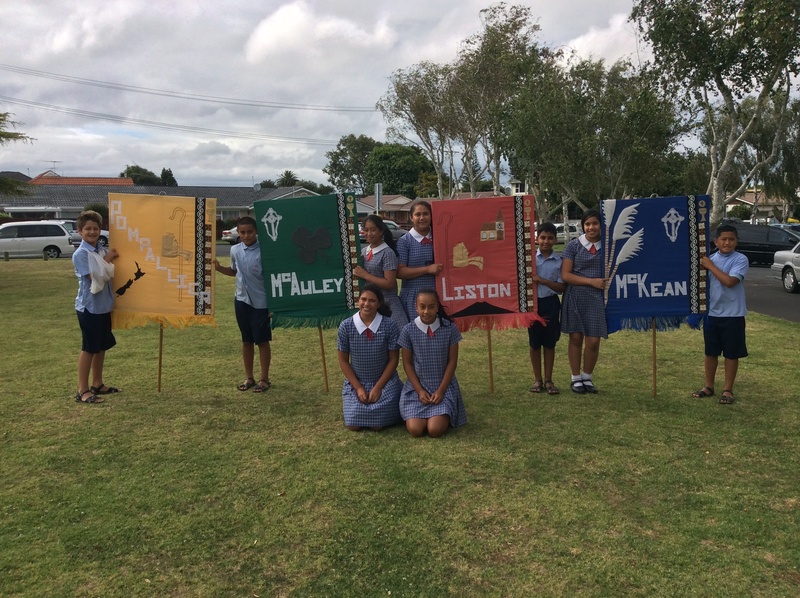 My name is Talainga Kama and I am a proud house leader of the Liston team at Holy Cross Catholic School Papatoetoe. I love reading, spelling and public speaking. I hope to lead the Liston team with dignity, leadership and success. 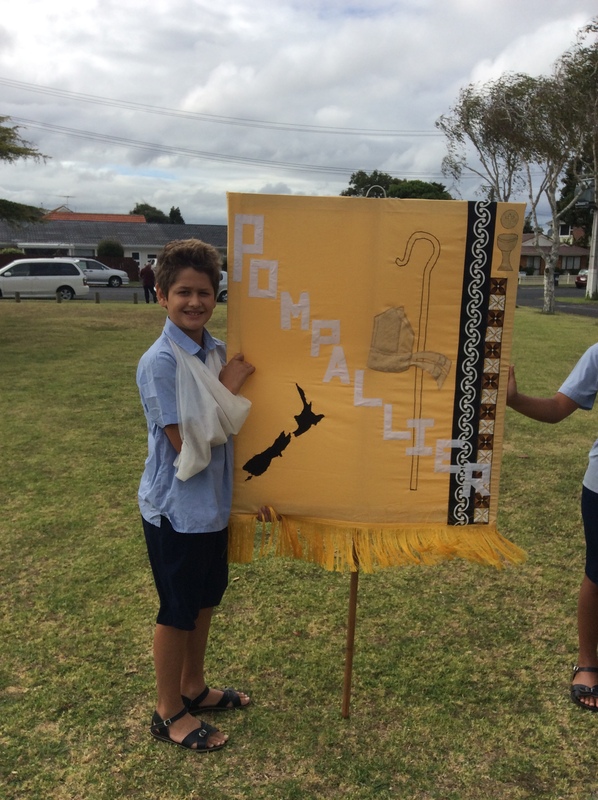 Talofa lava my name is Paschalia Tupou and I am the new house leader for McAuley for 2014. I started Holy Cross when I was five in 2007. I am Samoan and Cook Island and now Eleven years of age. I enjoy playing the guitar and ukulele at school. Outside of school I am involved with a sport called Taek – won do. It is a Korean Martial art that has been a real impact in my life because I have been doing it for 6 years. In school activities my favourite subject is doing maths on IXl. I hope to prove my leadership skills to the school. 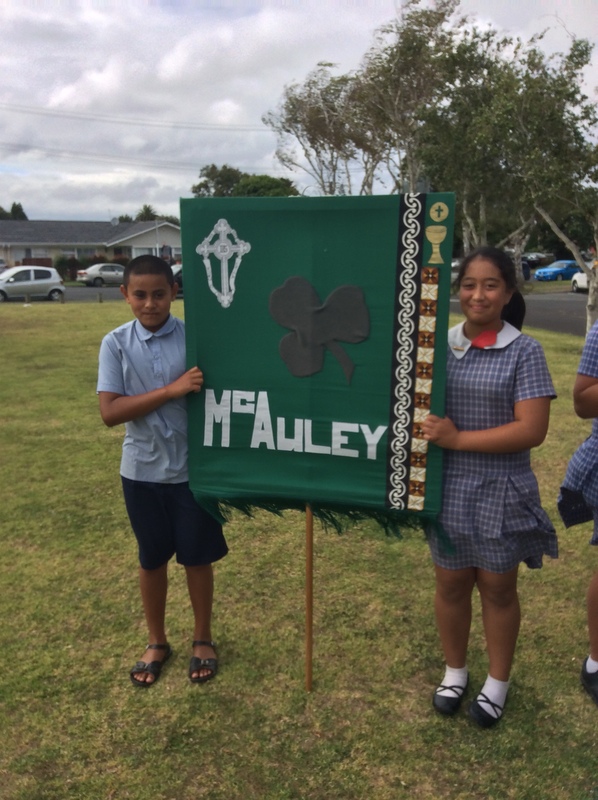 My name is Adam Tamati and I am one of the house leaders for McAuley. I came to Holy Cross in 2006 and I have been here for seven years. I started at year zero and now I’m a year six. I am Samoan and Irish, although I look more Samoan. My favourite hobbies are sport, reading, sleeping, drawing and eating. These are my favourite things to describe. My name is Zion Mann and I come from a family of 6. I have a mum and dad, 2 brothers and 1 sister. I like sports like rugby, golf and tag, although I am not very good at golf. 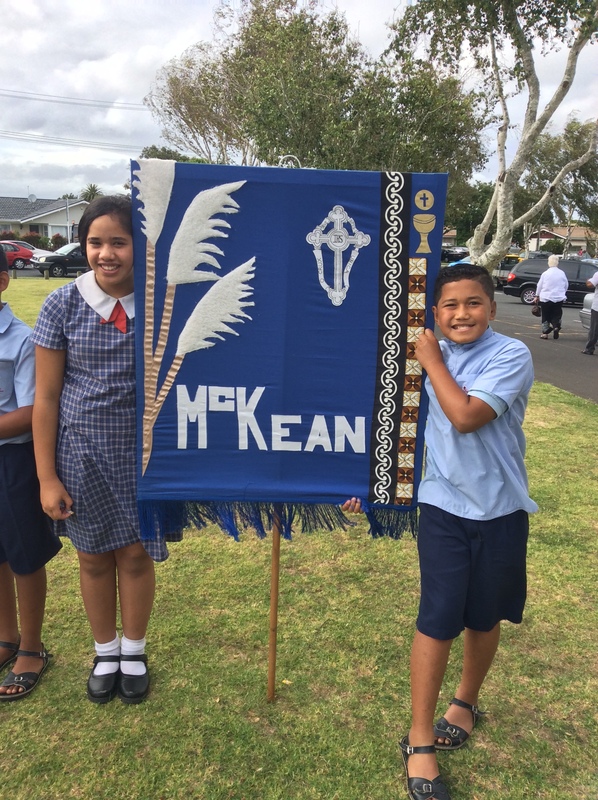 Hello my name is Cecilia Latu and I am the House Captain of McKean for 2014. I feel very privileged to have been chosen. I have spent 8 years at Holy Cross working hard and always trying my best in my academic and physical achievements to reach my full potential. .Being a House Captain means taking up a huge responsibility not only for my house but for my school. I will be encouraging my team to work together to help win the shield. My name is Johnny Mayerhofler and I am house captain of Pompallier. I started in 2006 and have been here for six years. I like to play basketball and hockey and I am Samoan, Maori, and a bit austrian. My favourite subjects for school are reading, math and art. 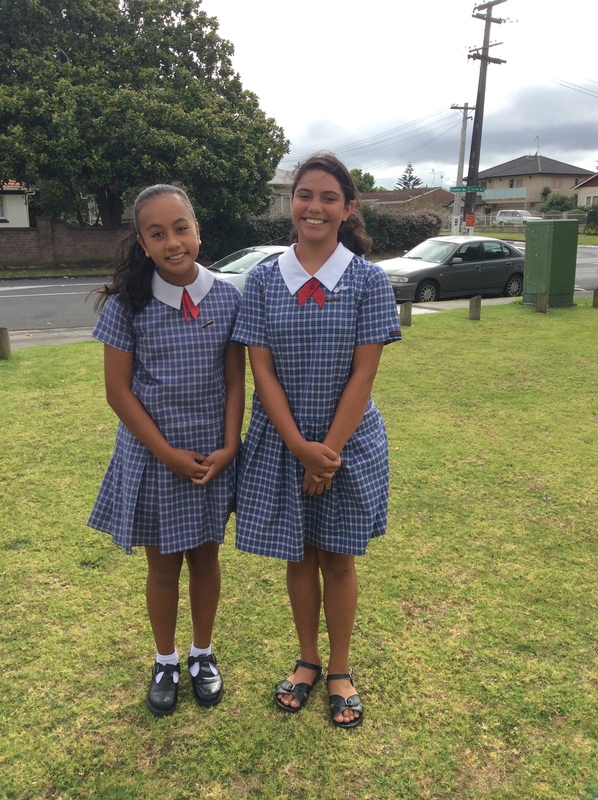 My name is Ashley Eve-Samantha Vaotuua, and I am one of the School Leaders for Term 1&2 for 2014. I am the eldest child of Semi and Ane Vaotuua, and I have two siblings who also attend Holy Cross. I am in Room 21 and my teacher is Miss Hann. My hobbies include playing netball, violin, and reading. I started Holy Cross, in 2006, with Mrs Lucre. In my first year, I was very shy and scared. As the years went by, I had different teachers, different classmates, where I gained and developed more confidence and was no longer afraid to let my voice be heard. There is a saying “To lead is to serve.” As School Leader, I hope to inspire others to become leaders, take up new challenges, strive to do the best they can and remembering with God all things are possible. I am looking forward to this coming school year, and hope that it will be successful and filled with many achievements for everyone.